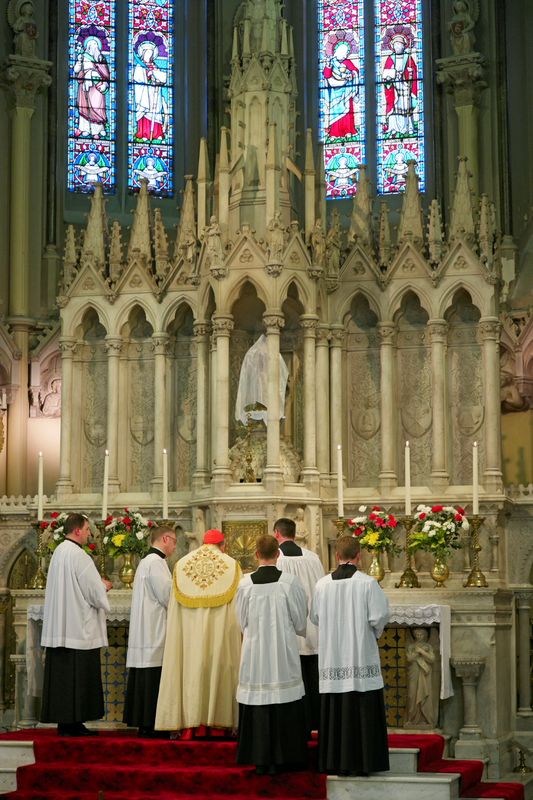 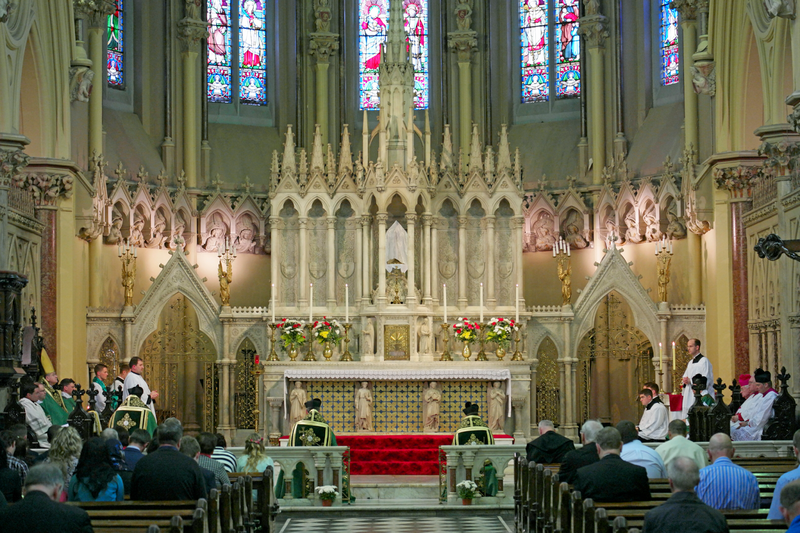 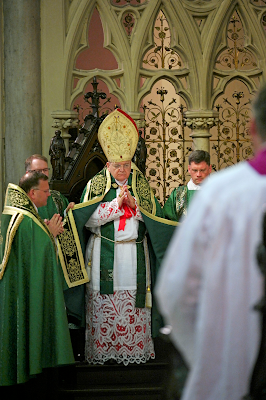 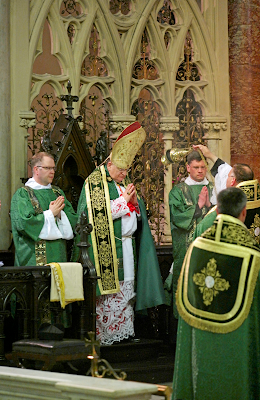 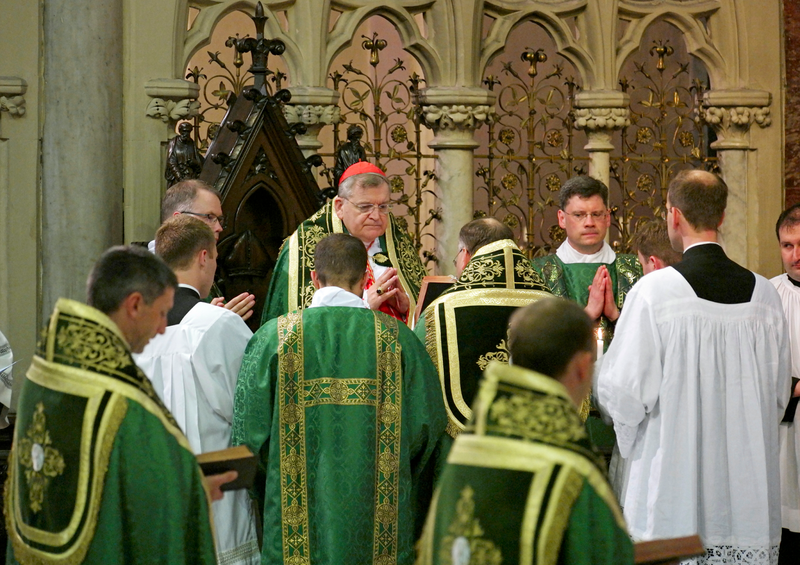 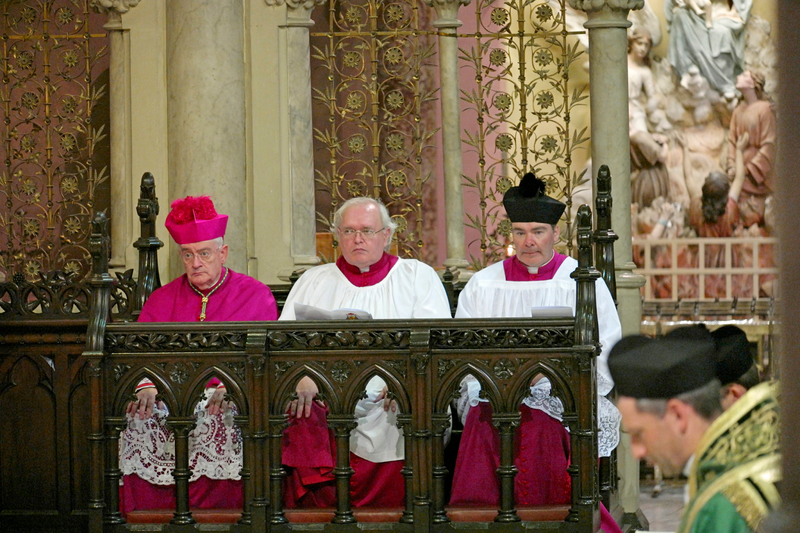 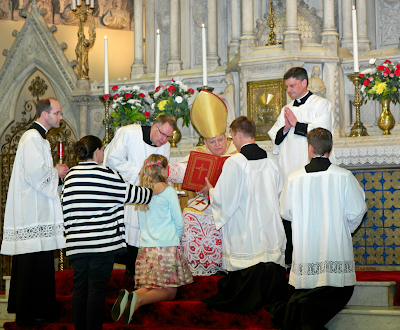 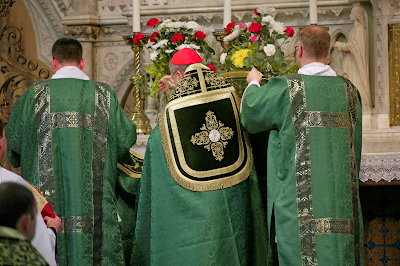 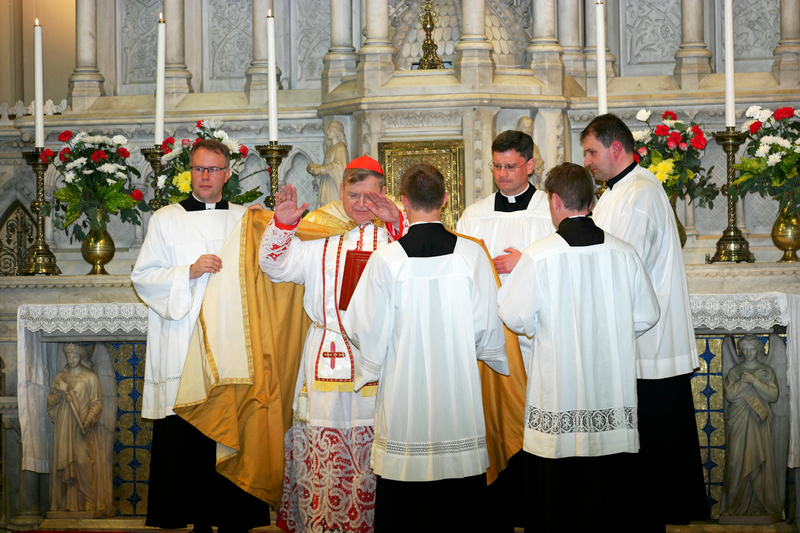 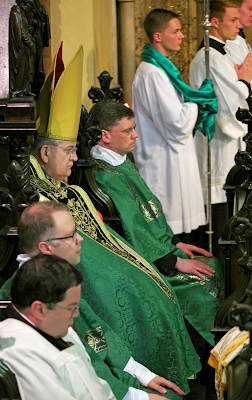 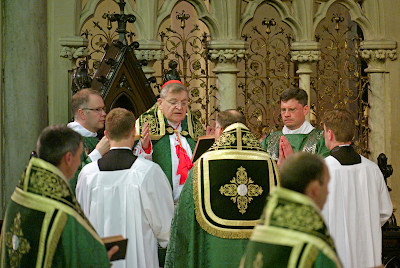 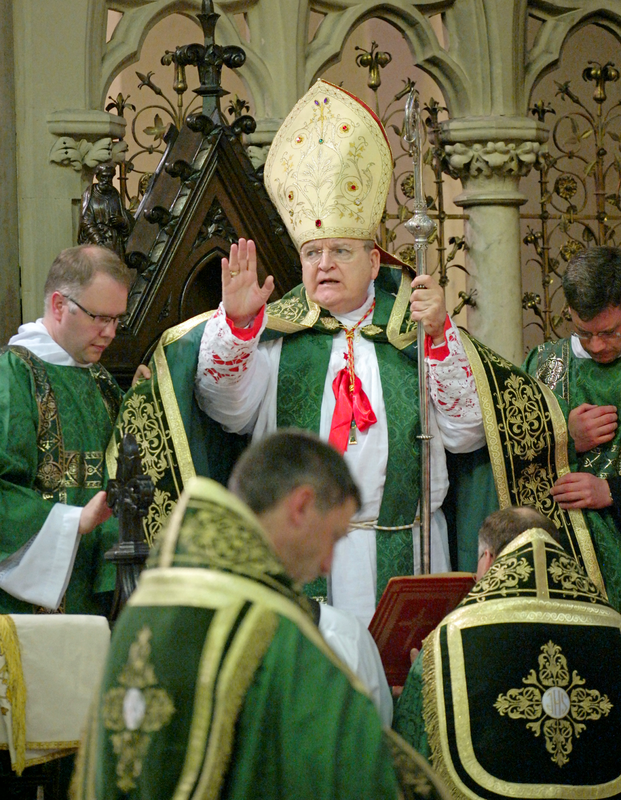 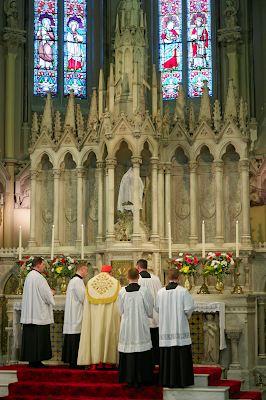 The annual Fota Liturgical Conference in Cork, Ireland, is not only an important scholarly gathering, but includes a number of ceremonies celebrated at the highest level of our Catholic liturgical tradition. 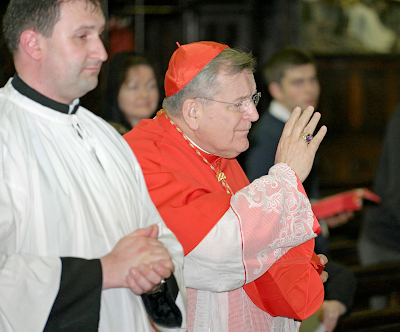 This year, on Saturday, July 9th, the conference’s keynote speaker, Cardinal Raymond Burke, was the celebrant of Pontifical Vespers for the eve of the Eighth Sunday after Pentecost, after which he confirmed several young parishioners of the hosting church of Ss Peter and Paul. 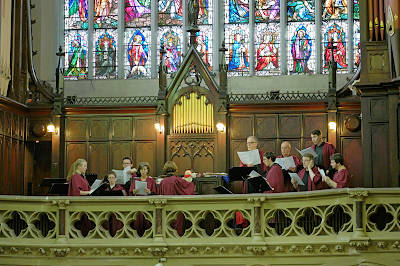 The wonderful Lassus Scholars, conducted by Dr Ite O’Donovan, sang the Gregorian chants for Saturday Vespers, and the Magnificat Septimi Toni of their patron musician, Orlando di Lassus. 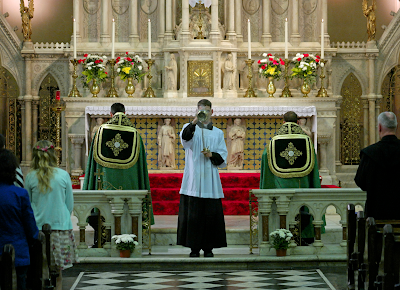 (Listen here on a previous post.) Our thanks to Mr John Briody for sharing these photos with us; the full set may be seen on his flickr account, along with those of a good many other liturgical events. His Excellency Peter Elliot, Auxiliary Bishop of Melbourne, Australia, who also spoke at the conference, and Mons. James O’Brien, one of the principal organizers, attend in choir.